Posted on April 13, 2018 . by Patrick Johnstone. Thank you for this Patrick. In this age of rushing to instant gratification, time spent and stringent transparent process is so very important for building community unity. Sometimes the unity has to prove out over time. But if the decision making is sound it, unity does come. If not, it can be so very divisive and do irreparable damage. Like you, I hope the new option works and there are no unconsidered barriers. Bravo, Pat, for saying what needed to be said and…seemingly shocking in this day and age…actually referring to facts and evidence rather than ignorance and dated stereotypes that were never true. I am shocked that council would have even considered any alternative proposal not accompanied with data. All those new west nabobs of negativism should be ashamed of themselves for doing their best to make our younger residents feel unwelcome and unfranchized in their own community. Ironically, that, more than anything, leads to the kind of antisocial behaviour that people are so afraid of. “I am concerned about cadet safety and potential conflict that could arise between the cadets and skateboard park users.” This suggests park users (see: skaters) are predators and cadets, in turn, are inherent potential victims. Where is the evidence and reasoning for this claim or any of the others that followed? How does the presence of a concrete recreational dish create an environment that invites conflict between otherwise peaceful groups? 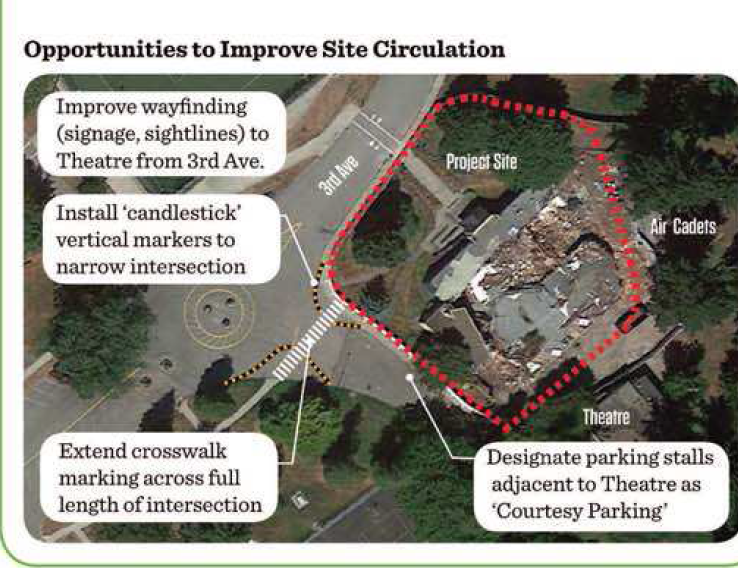 The thing that bothers me is that the process of finding a new location for the skate park and consulting with stakeholders has been going on for over a year, but it seems that the closest neighbours (theatre, cadets building) were only apprised of the situation in late November 2017 – when the Arenex site was already deemed to be the prefered choice. 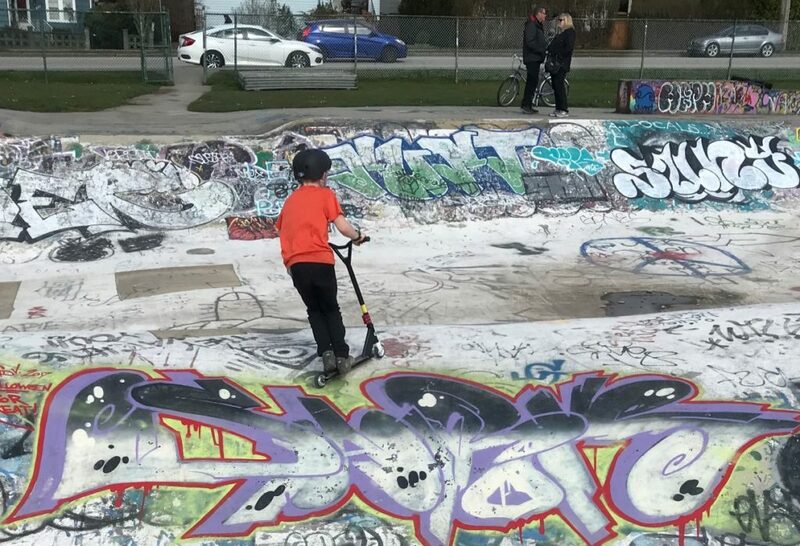 It seems to me that the Arenex collapse provided the easiest and most conveninet solution to finding a new home for the skate park and that other (perhaps better) solutions weren’t fully pursued as a result. 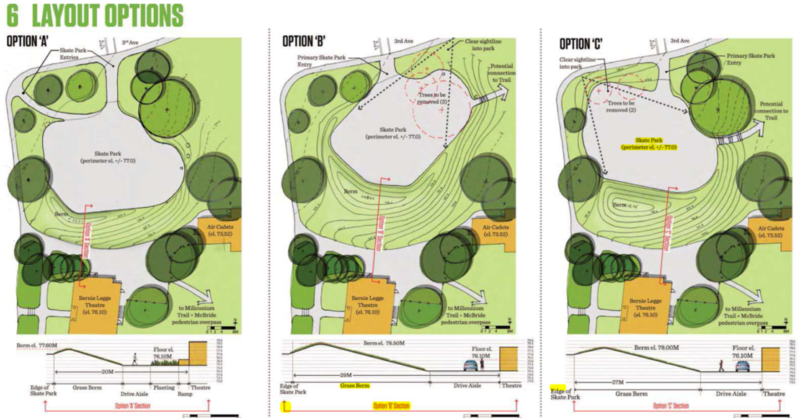 I was at the council meeting last week and think the alternate location is a great idea as I think that bit of extra space with existing trees as a buffer would be beneficial to both user groups. Out of curiosity, I googled the locations of skate parks in the Lower Mainland and can’t find any that are built that close to a performimg arts venue.